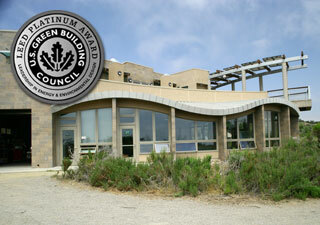 From the early days of concrete masonry, right up to the present, those who understood the energy efficiency, durability, and natural aesthetics of concrete masonry have realized that it doesn't take special efforts to make concrete masonry environmentally friendly... it is a natural building material with unparalleled environmental qualities. 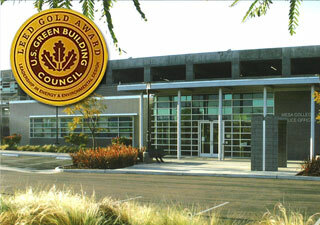 RCP Block & Brick prides itself on pushing the proverbial green envelope in an effort to provide the best environmentally friendly concrete products. 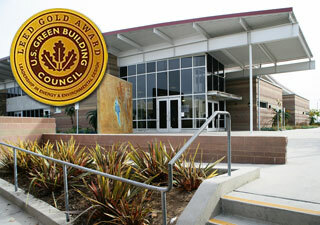 Below are a few ways we are helping keep the planet green. 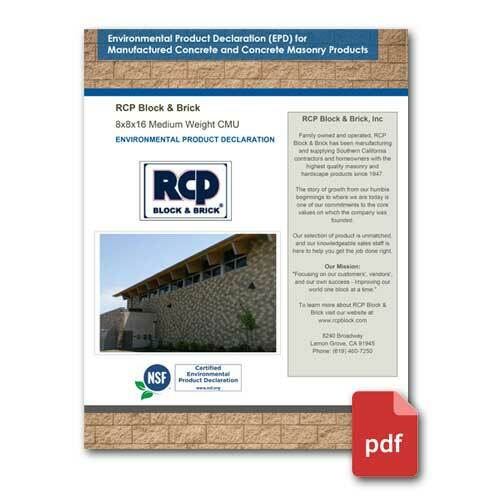 (PDF) Environmental Product Declaration Verification (EPD) for RCP Block & Brick's medium weight manufactured concrete and concrete masonry products. 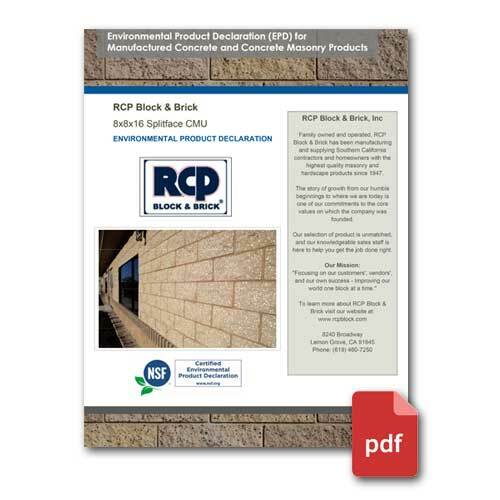 (PDF) Environmental Product Declaration Verification (EPD) for RCP Block & Brick's high stress manufactured concrete and concrete masonry products. 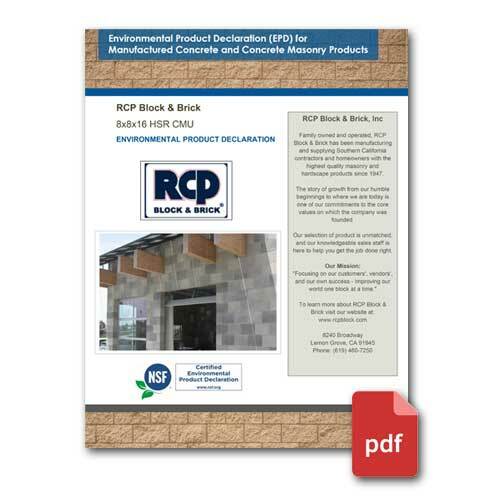 (PDF) Environmental Product Declaration Verification (EPD) for RCP Block & Brick's splitface manufactured concrete and concrete masonry products. 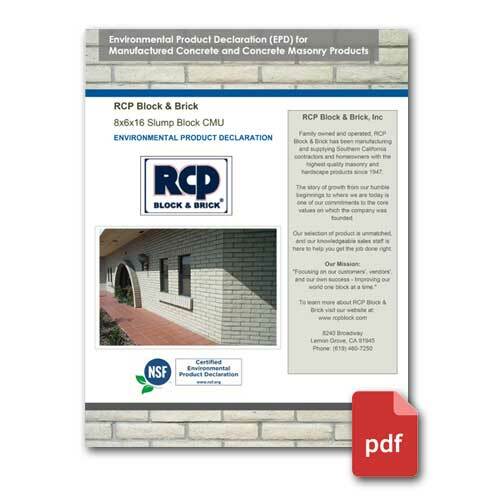 (PDF) Environmental Product Declaration Verification (EPD) for RCP Block & Brick's slump block manufactured concrete and concrete masonry products. 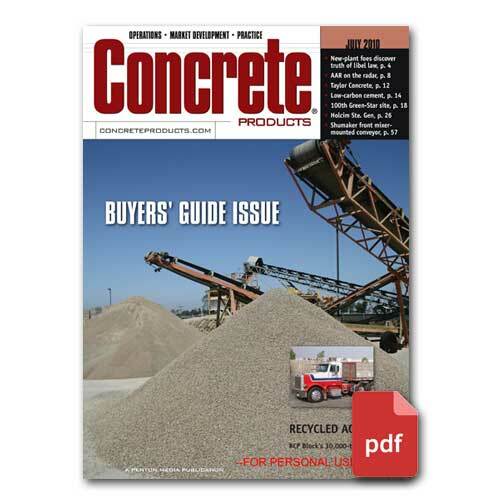 RCP uses pre and post consumer recycled content in many of its manufactured concrete products. 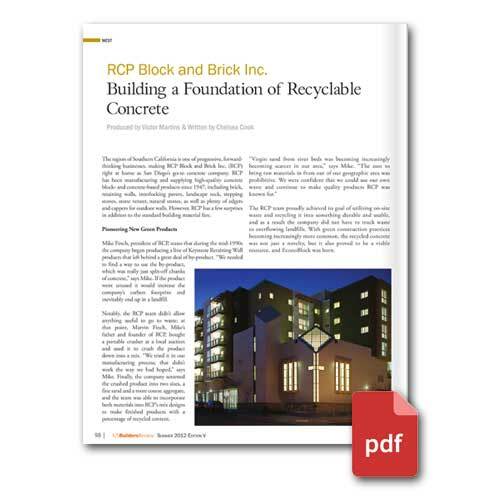 This includes recycled concrete units (crusher uses cleaner electricity), manufacturing wastes, and even reclaimed dust from shot-blast and tumbling operations. RCP puts back through reclamation or better management practices. This includes ongoing reclamation projects to recreate habitats disturbed by material extraction; filling areas with natural construction waste eliminating the need to bring materials to local land fills. 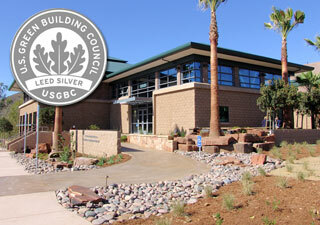 All harvested natural resources are approximately 100 miles from RCP's manufacturing location. Job sites are usually no more than 100 miles from the manufacturing location. In 1987, RCP incorporated the Mist Cure Method which has resulted in saving millions of therms of natural gas use. The natural hydration process of the cement in block results in heat that increases the efficiency of the Mist Cure method. 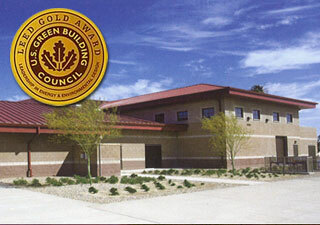 RCP uses BMP Storm Water Practices so that all company facilities have minimum storm water runoff. RCP's trucking fleet has been retrofitted to meet the future Carb Standards before law has actually required compliance. 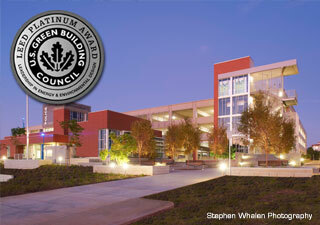 RCP buildings use natural day-lighting when available to minimize energy use and have been retrofitted with high efficiency fluorescent lighting.